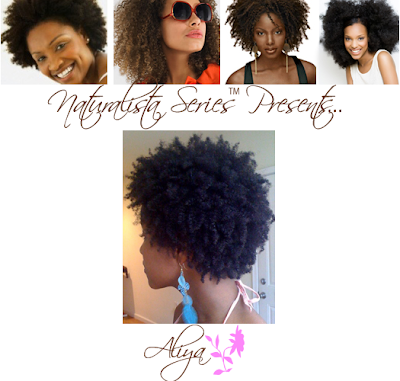 Naturalista Series™ Presents: Aliya - Hairlicious Inc. I was relaxed since middle school. I tried to go natural in high school because Lauryn Hill was my hero but there wasn't much information about it then. 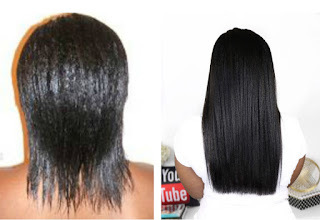 I had no idea what I was doing so I went back to relaxers. 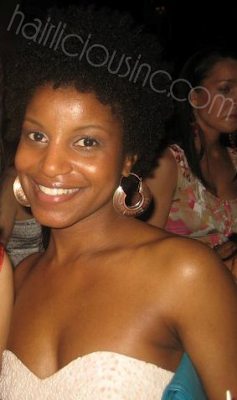 I somehow found CurlyNikki.com and became inspired to try going natural again. Relaxers did not work for my hair type. My hair is very fine, thin and soft. The chemicals and heat from curling irons would make my hair break off very easily. I was forever stuck at neck length and knew there had to be a better way to grow my hair. I began my transition during the summer of 2008 and did my big chop in January 2009! I only transitioned for a few months. My hair was about .5-1 inch when I did my big chop. I have z-pattern hair but it coils and curls on the ends. I would say I'm mostly 4/b but I have some sections of 4/c & 4/a as well. I love my hair texture. We had a rocky start but we're cool now. LOL. I've always liked natural hair on other people, I figured why not try it on myself? Who knew that my confidence would be affected too! There's nothing like showing the world who you really are with no filter. It's very liberating. 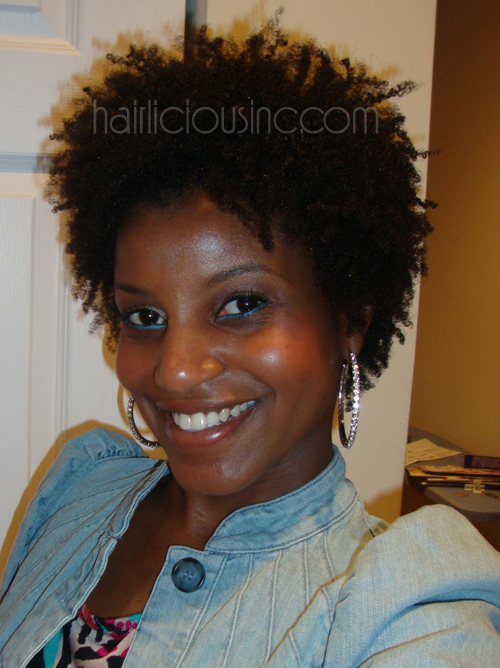 The main thing that I like about being natural is that my hair is GROWING and it's a lot thicker! As I said before, I always had neck length hair. Now, I'm grazing shoulder length. My goal is to have full shoulder length hair! 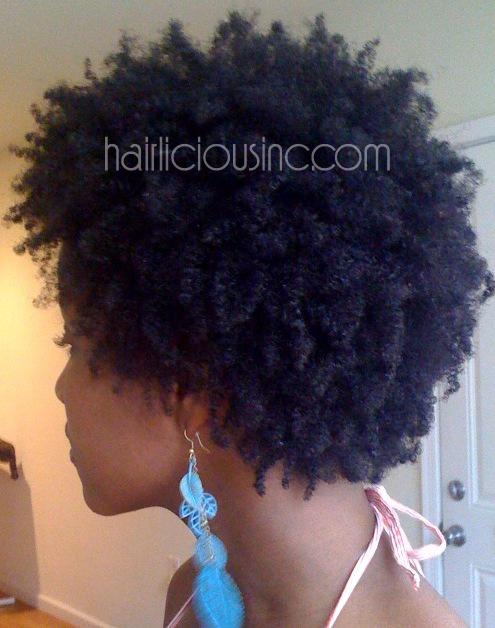 I'm going to achieve that by doing more protective styling and by really babying my ends. 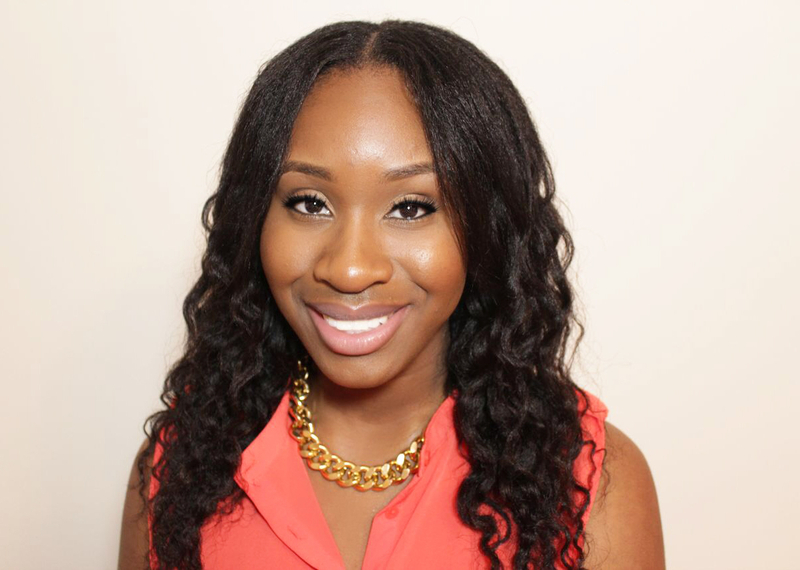 The biggest challenge for me is breakage during detangling. 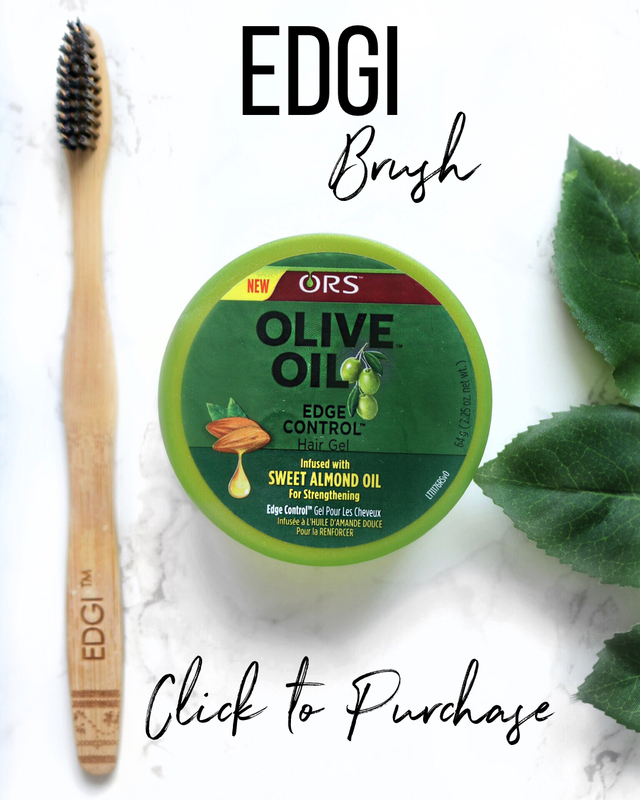 I've found that using products that make my hair very soft and that have great slip will allow me to manipulate my hair without all the drama. I had to try a lot of products to find the two that are now my staples (Aubrey Organics Honeysuckle Rose Conditioner & Creme of Nature Rosemary Lemongrass Leave-in) but I'm glad I did. 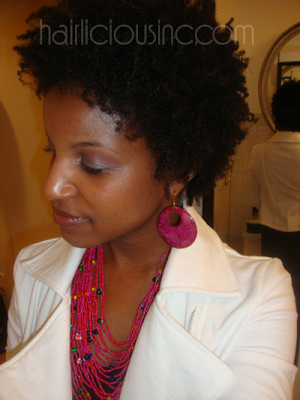 I do mostly two-strand twist outs on my hair because they stretch my hair out a bit but not too much. I use a spray bottle mixed with a little bit of conditioner and leave-in on small or medium sized sections of my hair. I gently detangle after saturating that section with the water mix. I apply a small amount of my whipped shea to my ends and twist. In the morning, I untwist carefully to minimize frizz, fluff and go! My twist outs can last for about 2-3 days but I tend to do them every other night because my hair needs the moisture. I always wash/condition my hair while in large two-strand twists. I unravel each twist and spray it with water mixed with Aubrey Organics Honeysuckle Rose & Creme of Nature Rosemary & Lemongrass Leave-In. I apply my whipped Shea mix (that usually contains Shea butter, coconut oil, olive oil, avocado oil, Castor oil & jojoba oil) to my ends and twist in small or medium sized sections. Honestly, I've never tried to define my hair without the use of twist-outs. That's also one of my goals for this year.... to finally try to do this! I part my hair from ear to ear and make 3 sections in the front and back of my hair. I work each section with my mix of water, condish & leave in to remove tangles. I don't comb my hair very often but when I do I use a wide tooth comb after I finger comb. I twist each section after I detangle it. If you have type 4b/c hair, I strongly suggest washing your hair while it's in twists or braids. Our hair shrinks up A LOT when wet. 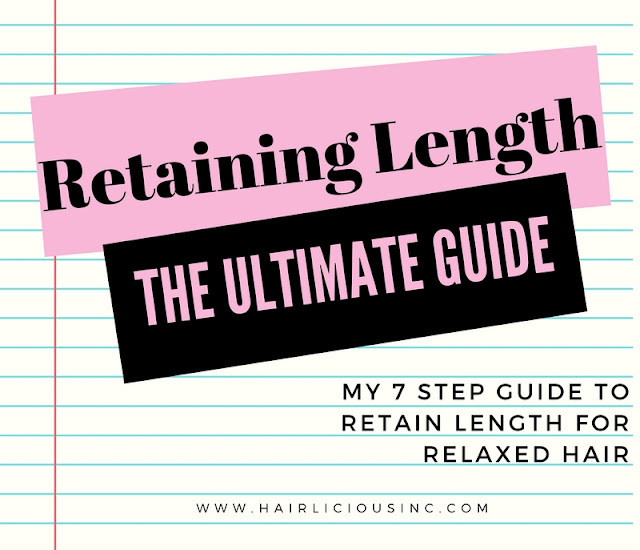 Trying to detangle 7 inches or more of hair that's shrunk down to an inch is a nightmare. Find products that work for you. What works for everyone else may not be best for you. Moisturize and Seal!! Take lots of pics. Be confident. 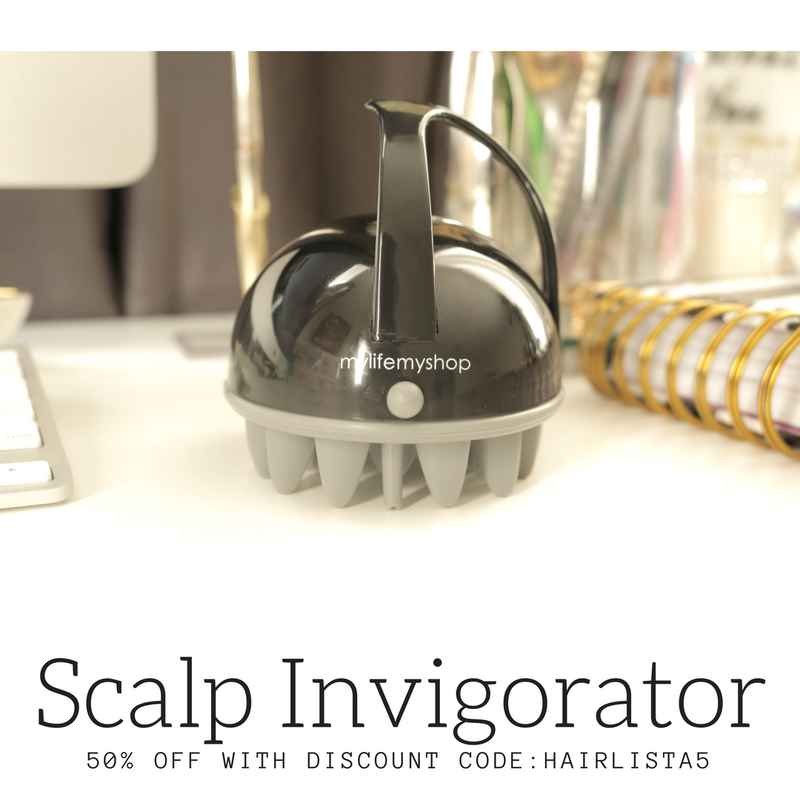 :) Find me on Hairlista! haha! Thank you Aliya for sharing all that information with us! Your hair looks great! It really compliments your style! Great feature. her hair fits her face so well. can't wait to see it grow! shoulder length...here you come!!! your hair looks FABULOUS!!!! 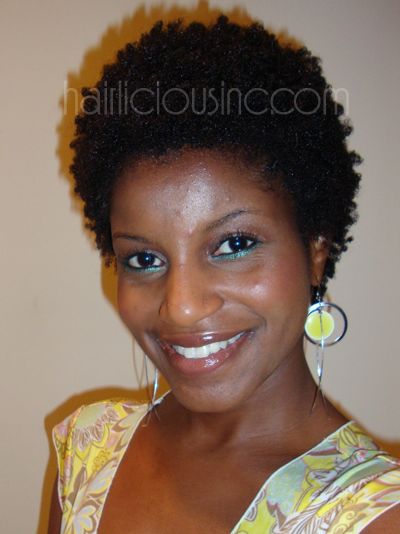 i think i have the same type of hair as u because mine coils and curls at the end as well. not to be distracting but your fashion sense is also on point Aliya...hott!